An industry leader in music education is bringing the life-long gift of music to adults and families by making real piano lessons more affordable and easier to access than ever before. Today marks the iPad launch of Musiah, the world’s first and only A.I. piano lessons app with the depth of instruction of a world-class teacher. Previously available for PC & Mac exclusively, the new iPad app is the most user friendly and comprehensive version of Musiah to date – making premium piano lessons more affordable than ever before. When learning with Musiah, adults and children from age 7 receive a comprehensive music education. From note reading to rhythm, scales to chords, ear training to memory training, music theory, playing technique and more, Musiah will even teach performance skills. As your A.I. piano teacher, Musiah speaks to you and, pointing to the sheet music, he guides you and responds to your playing just like a live teacher. There is no piano teaching system in the world like it. “Musiah is so incredibly effective that students learn up to 16 times faster compared to when we used to teach the same syllabus in schools with live teachers,” says Brendan Hogan L.Mus.A, A.Mus.A, piano teaching expert and Musiah inventor. The Musiah course takes students from beginner to advanced in the shortest amount of time possible, empowering students by giving them real skills which means they quickly gain the ability to teach themselves any song they choose. “I cannot thank you enough for this amazing software. There are times after completing a lesson when I am overwhelmed with gratitude to the point of tears. I do believe you have forever changed my life,” says Rebecca Ramirez of Hemet, Calif., one of many delighted Musiah customers. Great teaching is at the heart of everything Musiah does. For example, its piano method was continually tested and refined over an 18 year period before being embodied as a revolutionary invention known today as Musiah. No other piano method has been so extensively tested in the real world and continually analyzed, re-worked and improved upon to bring you the unique approach to learning piano that only Musiah can offer. Musiah is not just piano lessons. It’s a deeply considered holistic approach to learning and self-development that empowers students to realize their true learning potential. Plus, it’s fun – as well as plenty of games, there’s even an optional story mode that allows you to do your lessons as a character in an adventure story set in the future. If you have a dream to play piano, this is the most effective, affordable and practical way to learn. And you can get started right now with just a few clicks. Musiah is the world’s first A.I. piano teacher and was invented by Irish-born piano teaching expert, Brendan Hogan L.Mus.A, A.Mus.A. Musiah’s mission is to provide authentic piano instruction from a world-class teacher that will change people’s lives. At its core, Musiah’s team seeks to bring the life-long gift of music to adults and kids all over the world, doing so by using A.I. piano lessons to empower students to unlock their true learning potential which opens the door to endless possibilities and opportunities. Founded in 2010, Musiah Ltd’s US office is located in Sandy, UT. PC and Mac versions of Musiah have been available to the public since 2012 and 2013 respectively. 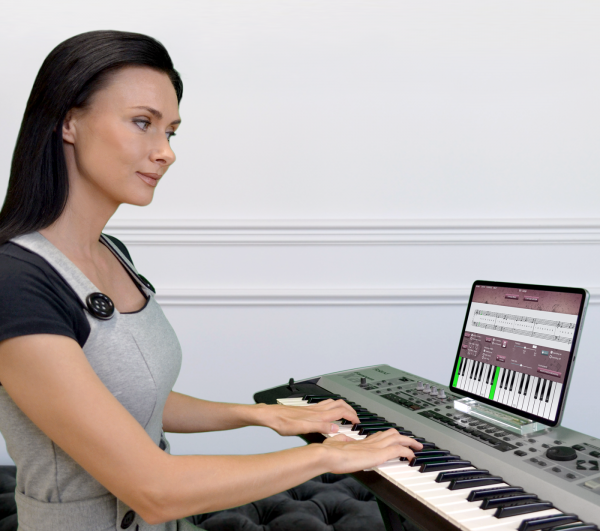 Online Piano Lessons — What Lies Ahead For Musiah Unity? Are Musiah Piano Lessons Compatible With Windows 10?